In a further expansion of its pan-European LTL service, supply chain solutions specialist P&O Ferrymasters has introduced daily each-way trailer departures on the Benelux-Germany and UK-Germany trade lanes. The company launched a similar daily service between the Benelux/Ruhr areas and Estonia in January. Its latest initiative responds to increased demand for LTL shipments to and from the whole of Germany, where current volumes of 15 trailers per week have been led mainly by rising exports from the Benelux. As well as part loads, the new service also covers groupage consignments of up to five pallets and is being run in conjunction with a large family-owned distribution company. 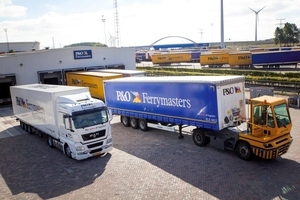 P&O Ferrymasters is integrating the German traffic into its existing LTL operations, which feature cross docking facilities in Europoort (Rotterdam). Last year the company acquired a 1200m2 warehouse in the key European gateway in a move to enhance LTL service levels with a dedicated base for rebuilding part-load trailers. Vleming Geerligs, general manager of business development in the company’s own-assets division, says: “Growing the European LTL business is a major part of our expansion strategy. Our current LTL services are mainly to the UK and Ireland, but market trends have already shown the potential of enhancing the offering across mainland Europe.